If it is true that our mouth and our smile are the focus of interpersonal communication and our card when we introduce ourselves to someone, so you can certainly do not think that the dental-health education is not essential. Recent studies show that in fact teaching children how to care for their teeth and what to do and what not to do in the field of oral hygiene is absolutely fundamental for young people with healthy mouths. 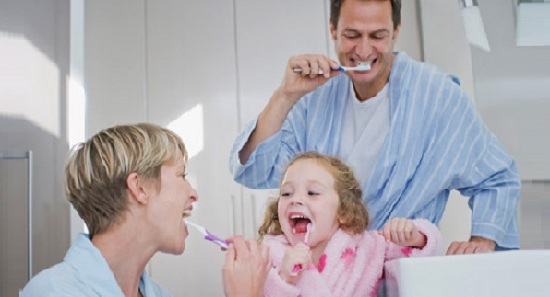 The health of our teeth begins from small and teach our children how to take care of our smile is the basis for a healthy mouth and a test of the dentist. Promoting health, health communication, and consequently selling the right products to achieve this goal is our commitment. Among the products selected and marketed by JC we recommend a toothbrush CLEVER which through its action allows effective cleaning of the teeth and consequently reduces the incidence of dental expenses on the household budget. The toothbrush CLEVER will wash your teeth by removing plaque (The tartar is hardening of plaque on the teeth) in a whole new way. 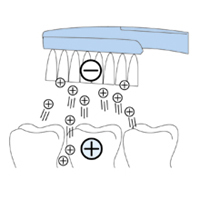 CLEVER acting on the principle of polarity removes plaque precisely deep beneath the gingival collar, just massaging the teeth. 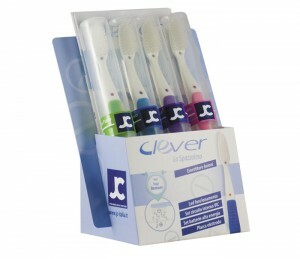 Once you try the toothbrush CLEVER , it cannot do without.